“At one troubled Brooklyn high school, the principal stepped down this month—after clashing with the teachers’ union—‘for my own sanity,’ she said. At another, the principal resigned to go back to an easier job. And at still another, in Queens, the principal—the fifth in five years—wrote an end-of-the-year letter to the staff calling the place ‘the Hunger Game for Principals.'" Schools labeled as “struggling” were given a timetable of three years to show improvement. However, according to the article, long-term success often doesn’t register in just three short years. The Times article focuses on a “renewal program” that pairs schools with community organizations that provide counseling services to improve attendance and family engagement as well as add an hour to the school day and provide coaching to teachers with the goal of improving academic performance. The article brings up several issues facing these schools and makes for interesting reading, if you have the time. The point on which we would like to focus is one aspect of the renewal program that hopes to improve struggling schools by improving family engagement. The Southwest Educational Development Laboratory reported, “When schools, families, and community groups work together to support learning, children tend to do better in school, stay in school longer, and like school more” (source). Involved parents—can you believe that one contributing factor could have such a great impact on your school? The article states, “when schools engage families in ways that are linked to improving learning, students make greater gains. When schools build partnerships with families that respond to their concerns and honor their contributions, they are successful in sustaining connections that are aimed at improving student achievement,” (14). Build partnerships. Respond to concerns. Validate contributions. These things are essentially public relations. Relationships. Two-way communication. Appreciation. The better your school’s relationship with parents, the better your students perform. That is the power of school public relations and marketing. Your public relations has to be genuine; your school marketing has to be authentic. Done right, your efforts will not only convince your families to know, like, and trust you, but they will encourage them to engage and participate with you in their children’s education. So what does your school website have to do with this? School public relations and school marketing are all about communication. The online home of your school should be the hub of communication. Your school must have a website. That point is not negotiable. We understand when complications arise—like ADA compliance. Some schools would like to throw the towel in and give up on their online presence altogether. But in today's mobile world and climate of school choice, you cannot ignore your school website—especially if your school is struggling. According to the research, the following four areas will help you increase family engagement. The first step to increasing family engagement is to communicate regularly. Schools have many communication channels available: e-mail, newsletters, mobile apps, teacher sites, texts and phone calls, school social media, letters home, etc. That’s a lot of channels and a lot of work to keep each one updated. Your school website should be the starting place for all your messages. Let’s work through an example. Your school is recruiting parent volunteers. The first thing to do is write up a feature story and post it on the school news page. Next, you’ll link to that story in your school newsletter (which you distribute by e-mail once a month) by writing a summary and directing your audience to the school website for more information. You’ll promote the story through your school’s social media links. All communication should direct back to your website. Creating a process for a steady flow of information that starts with your school website will help your school communicate regularly. You are also setting the expectation for parents about where they can look for important information from the school: your website, your social pages, and your newsletter. That leads us to the next point—outlining expectations. Where better to outline your expectations for family engagement than on the website? Most school websites have a page or at least specific links dedicated to parents, policies, and procedures. To help your struggling school, tell parents why they should be and how they can be involved at your schools. The next point to help your school engage parents is to talk with them. This is not about providing parents with communication; we did that in the first step. This is about two-way communication that is so important to building relationships. Provide parents with opportunities to talk to school personnel about their concerns and expectations. You can better discuss parents’ roles in their children’s education as you begin to understand their position. Listening to parents can equip your school with the ability to provide opportunities for engagement that parents need and will be willing to participate in. This will probably include things like school family nights, administrator home visits, effective parent-teacher conferences, open houses, coffee chats, etc. Your website is one channel by which to collect feedback from parents and open the door to two-way communication. Does your website have a Contact Us page? Make sure the number you provide is providing quality customer service to those trying to reach your school. Is there an e-mail address? Make sure somebody at your school is monitoring that e-mail daily and responding in a timely manner. Do you have a feedback form? Information from parents that help your school improve events, processes, and actions is invaluable—be sure to have feedback forms available. Finally, parents can’t engage with your school if there aren’t any opportunities for involvement. Volunteer opportunities, parent-teacher associations and organizations, focus groups, surveys, opportunities to help make school decisions—your website should have a home for advertising these options. Do you have a school calendar on your website? Make sure it is updated. The best thing you can do to help your school is getting families involved. There’s a reason it’s one of the most universally agreed upon statements in education: When parents are involved, the academic success of students increases. Your website should spearhead your efforts to engage families. School communications, expectations, opportunities for involvement, and chances to provide feedback should all start with your school website. 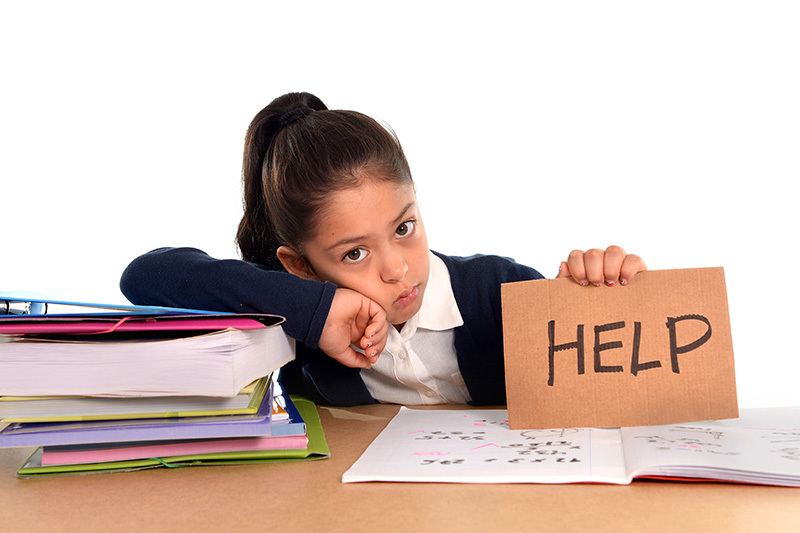 What’s been presented here is probably one of the simplest ways to help your struggling school. 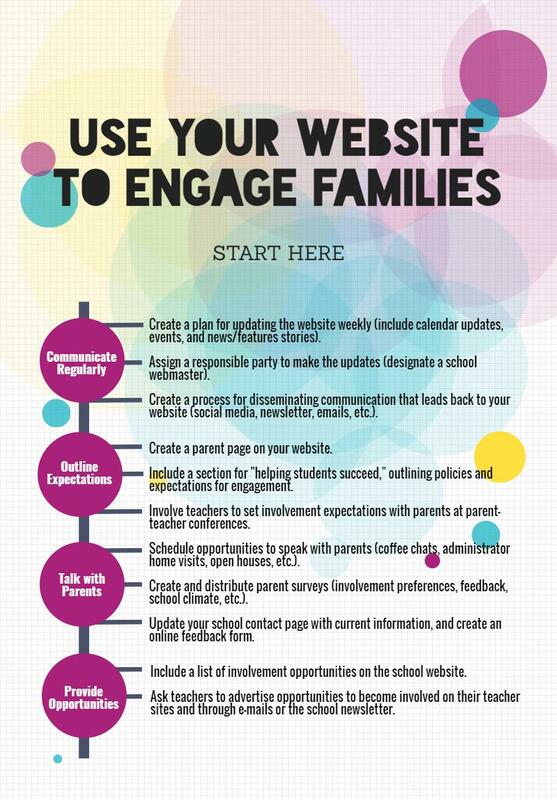 Using your school website as a tool for improving family engagement is effective. And it’s so simple, in fact, that you may be tempted to ignore it—but don’t ignore it! Follow these steps to make sure your website is aiding your efforts to improve your school. Taylor, Kate. “After 2 Years, Progress Is Hard to See in Some Struggling City Schools.” The New York Times, July 18, 2016. Accessed April 17, 2017. (Available online). Henderson, Anne T., and Karen L. Mapp. “A New Wave of Evidence: The Impact of School, Family, and Community Connections on Student Achievement” (Annual Synthesis, Southwest Educational Development Laboratory), 241. (Available online).